Leave a comment on THIS post by 6 p.m. CT Tuesday, January 13, 2015 to be entered in the DRAWING for a copy of the book below. If you mention in your comment that you’re a follower (see in the left sidebar “Join This Site” and “Follow by Email”), I'll add your name a second time in the drawing. U.S. mailing address required to receive a paper book. Read book giveaway details at Disclaimers. Please leave your email address. Winner announced in next Thursday's blog post. 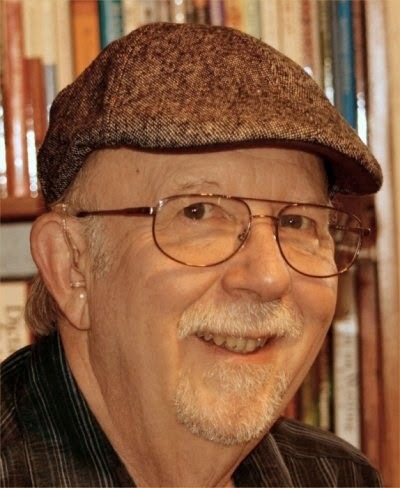 Roger Bruner worked as a teacher, job counselor, and programmer analyst before retiring to pursue his dream of writing Christian fiction full-time. Roger enjoys reading, writing songs and playing his guitar, web design, mission trips, photography, and spending time with his wonderful wife, Kathleen. Roger’s new novel, The Devil and Pastor Gus, has just released. Two Young Adult novels, Found in Translation and Lost in Dreams, came out in 2011. He’s also published Yesterday’s Blossoms, a small book of his older short writings—poetry, plays, short stories. Welcome, Roger. If you could have dinner with one person from today or history (except Jesus) who would it be? That’s a toughie, but the first person who comes to mind is C.S. Lewis. Not only was he a wonderfully imaginative person, but a theologically insightful one. Of course, it’s possible his end of the conversation might be over my head. At the same time—if I understand correctly—he wrote some of his best fiction for children. So maybe he would be able to get down to my level after all. Please tell us a little about your novel, The Devil and Pastor Gus. Christian minister who outsmarted the Devil. Five or six years ago, I realized that the basic plot of that play was novel-worthy if I just doctored it up some. And that’s what I did. Pastor Gus Gospello is suffering a mid-life crisis. He’s determined to leave a legacy to future Christians, and he decides to write a satire making fun of the Devil for his excessive pride. B.L.ZeBubb, on the other hand, has been suffering years of humiliation because he failed to win Gus’s soul years earlier. He obtains God’s permission to try again. Gus and B.L.ZeBubb become obsessed with their projects, and Gus feigns friendship with the Devil to learn back story to use in his novel. But once B.L.ZeBubb discovers that Gus has been playing him for a fool, he makes Gus’s life miserable in every imaginable way. When B.L.ZeBubb finally backs Gus into a corner he feels selling his soul is the only way out of. But he bargains for power he hopes will allow him to beat the Devil at his game. But can he be sure? After all, the Devil is still the Devil. This novel is quirky. It will make readers laugh and cry. And—unless I’m terribly mistaken—ultimately cheer. I want my readers to have a very sound understanding of the fact that—once they’ve become part of God’s family through faith in Jesus Christ—nothing can tear them away from Him. I also want to convey the realization that God’s mercy is so much vaster than we can possibly imagine. Just as God Himself is so much bigger than we can conceive of. My website is RogerBruner.com, and I have two blogs. On AsIComeSinging, I post the lyrics of my original songs. At OnAgingGracelessly, I simply talk about whatever’s on my mind. 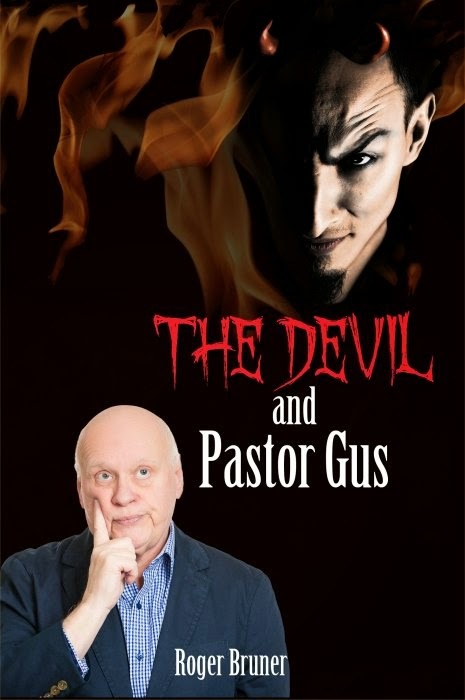 Where can readers purchase The Devil and Pastor Gus? I’d love to say, “Wherever good books are sold,” but Pastor Gus hasn’t made it everywhere yet. But you can buy print and Kindle books at Amazon, Nook books at Barnes and Noble, and print books from FamilyChristian.com. Absolutely. Pastor Gus wanted to leave a legacy for future Christians in the form of his novel. Even though I hope to write many additional novels and continue to improve my writing until I’m unable to write at all, I’ll always think of The Devil and Pastor Gus as my legacy. It says what I’ll never be able to say to a live audience, and that’s probably just as well. I get a bit long-winded and tongue-twisted before an audience that’s not reading my words. Roger, thank you for an interesting interview. One of the commenters to this post will win a copy of The Devil and Pastor Gus, which you have offered. The winner of last Thursday’s blog post for a copy of The Lady Fugitive by Ada Brownell is rubynreba. I’ll email you for your mailing address and you will receive your book from Ada. Four additional winners of a copy of The Lady Fugitive by Ada Brownell are Britney A, Melanie B, Wendy N, and Maxie. I'll email you for your mailing address and you'll receive your book from Fred St Lauent of the Book Club Network. Five winners of an annual online subscription to Book Fun Magazine are Melanie B, Wendy N, Janet E, rubynreba, and Maxie. I'll send your email addresses to Fred and he will contact you about your subscription. Thanks all for commenting. Watch for more book giveaways. I am glad that Roger decided to develop his play. This sounds like a story that I can share. Connie, glad you enjoyed reading about Roger's book. I see below that you follow my blog--thanks so much! I also follow you through email.